TheToyz 4pc Steel Hex Allen Driver Set « Big Squid RC – RC Car and Truck News, Reviews, Videos, and More! 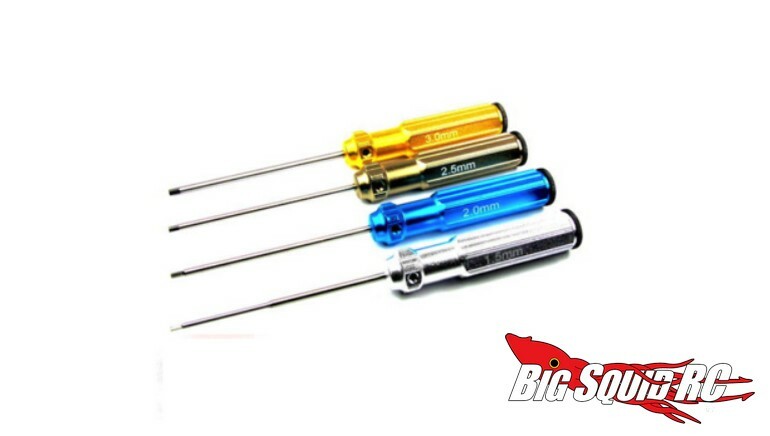 Have you been looking for an affordable set of hex drivers that will actually last? If so, have a look at the new 4pc Steel Hex Allen Driver Set from TheToyz. The four piece set comes with 1.5, 2.0, 2.5, and 3.0mm sizes, plus the handles are color coded to make identification a snap. Street pricing for the four piece set is just $14 and you can get a set on order by hitting TheToyz Official Website. Get More TheToyz news right here on BigSquidRC.